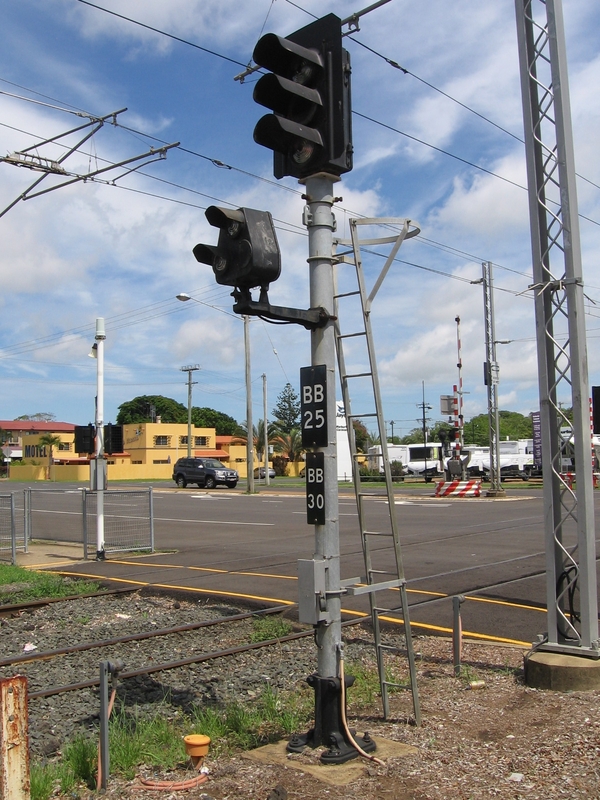 Approach Signals are found on the approach to a passing loop, yard, or station, and are generally located at braking distance from the next STOP signal. 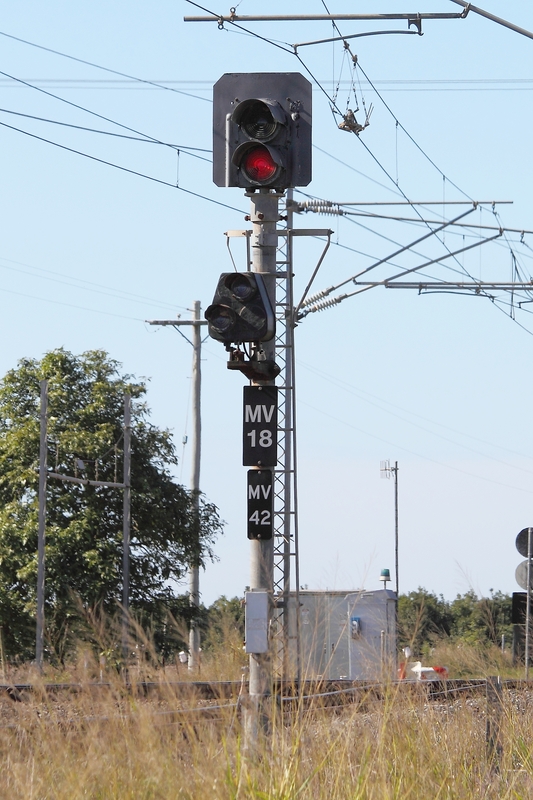 Their purpose is to warn train crews that they approaching a signal which may be at STOP. 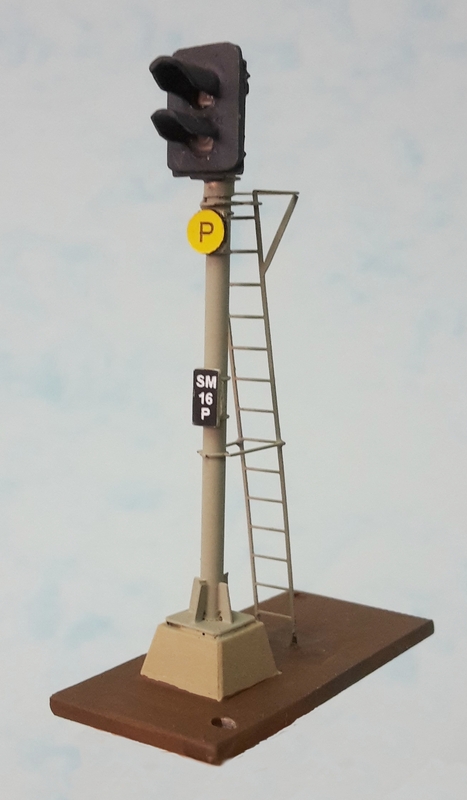 They are easily identified by the small triangular yellow and black beacon sign attached to the signal post. 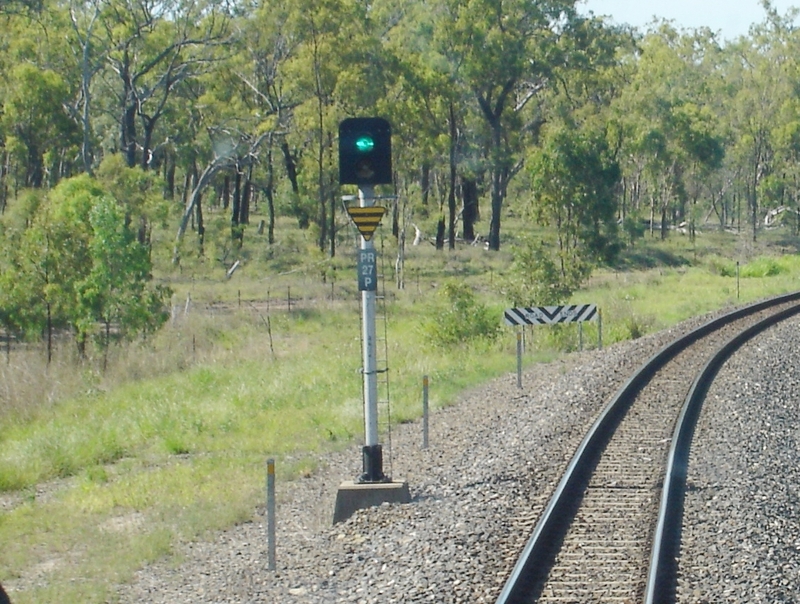 Home Signals are located just before the entrance to a passing loop, yard, or station. Their purpose is to control the entrance of trains into a station or yard. 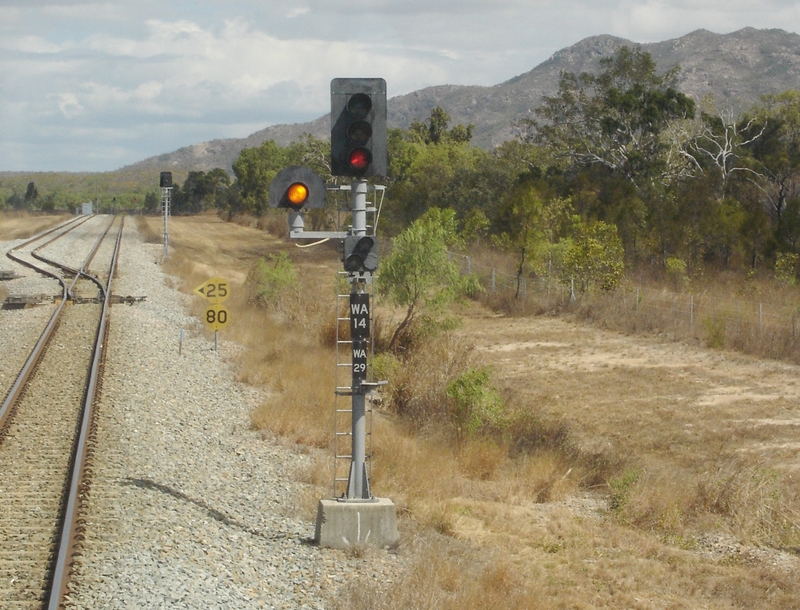 The style of Home Signal we have modelled is one of the patterns used on the Queensland system. 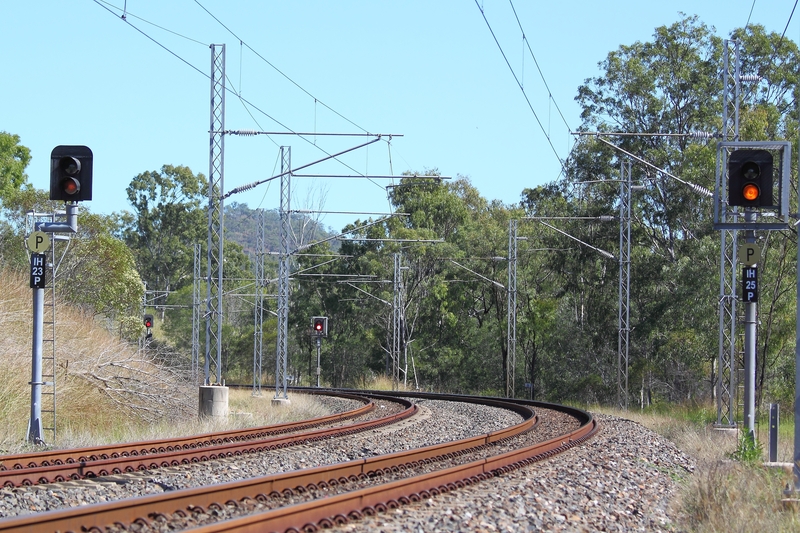 This particular pattern is widely used on the North Coast Line, North of Rockhampton, and on the Toowoomba Range West of Helidon. 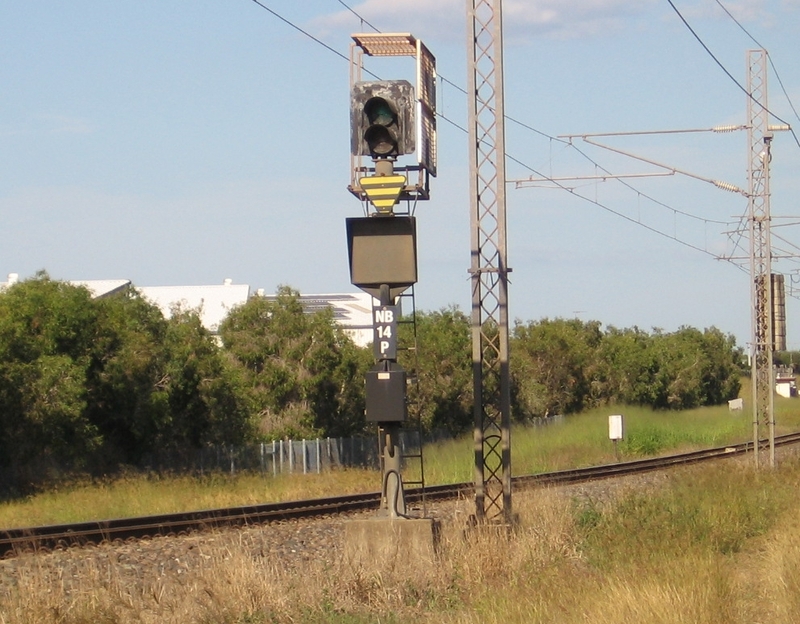 The offset Yellow Siding Signal is mounted on a bracket on the left or right hand side of the signal post, as determined by the direction of the turnout beyond. 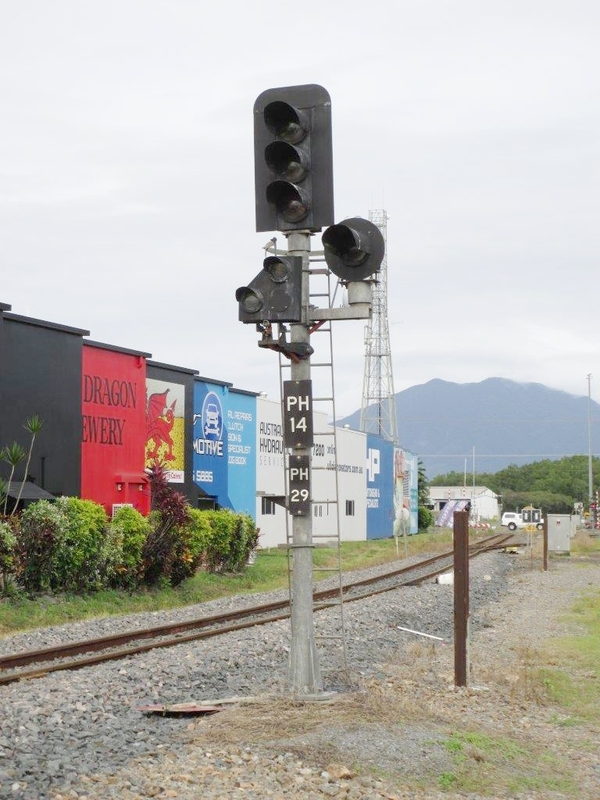 Its purpose is to control the movement of trains from the main line into sidings or through loop lines. 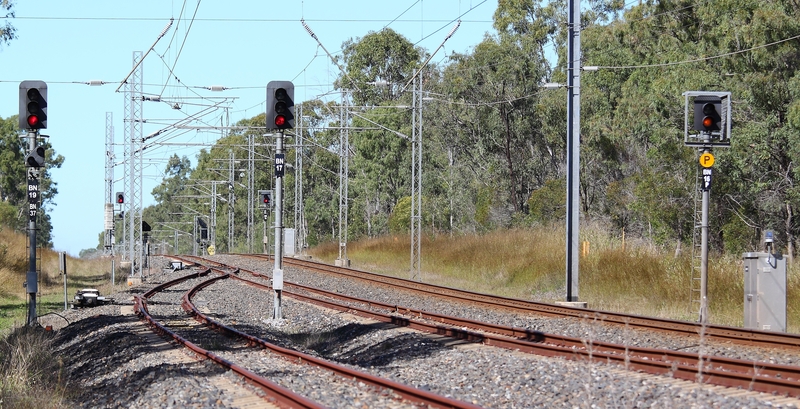 Shunt Signals are commonly mounted on a Home Signal to control shunting operations. 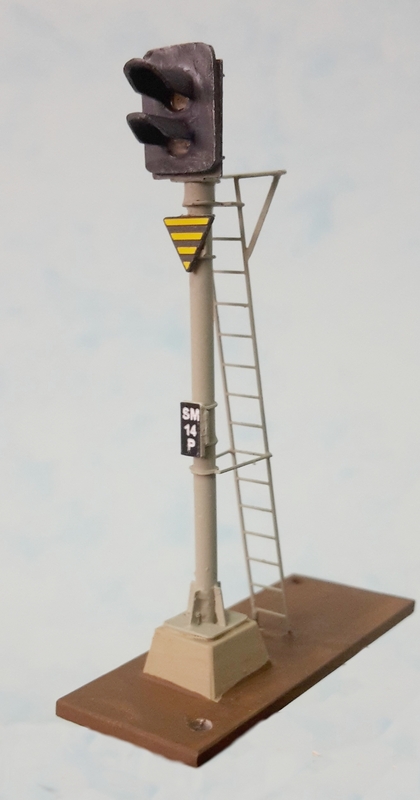 The Shunt Signal is mounted on a bracket in the front of the signal post. 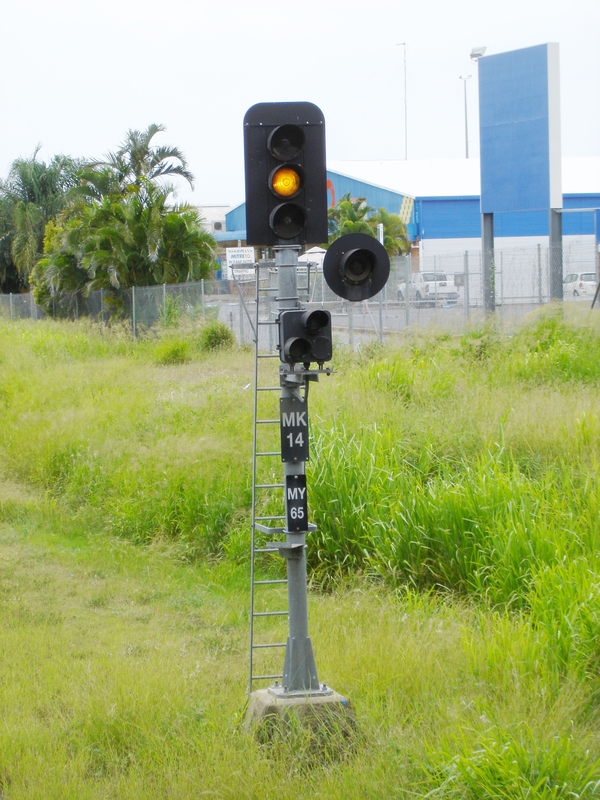 Intermediate Signals are a 3 Aspect Green/Yellow/Red signal located prior to a set of points, crossover, or level crossing in the middle of a yard. 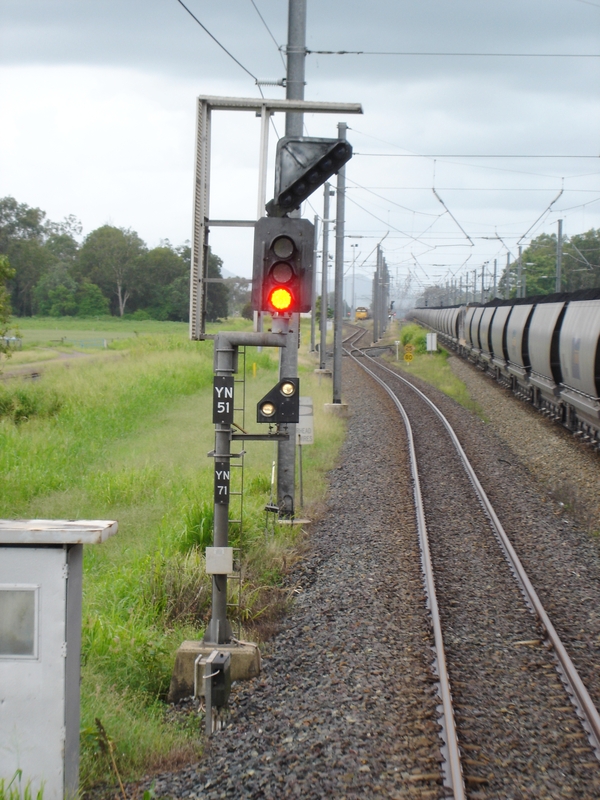 Intermediate Signals can be also be found with a Shunt Signal attached. The basic 3 Aspect Signal without shunt signal can also be used as an Outer Home Signal in some locations, and also as a 3 Aspect Start Signal. 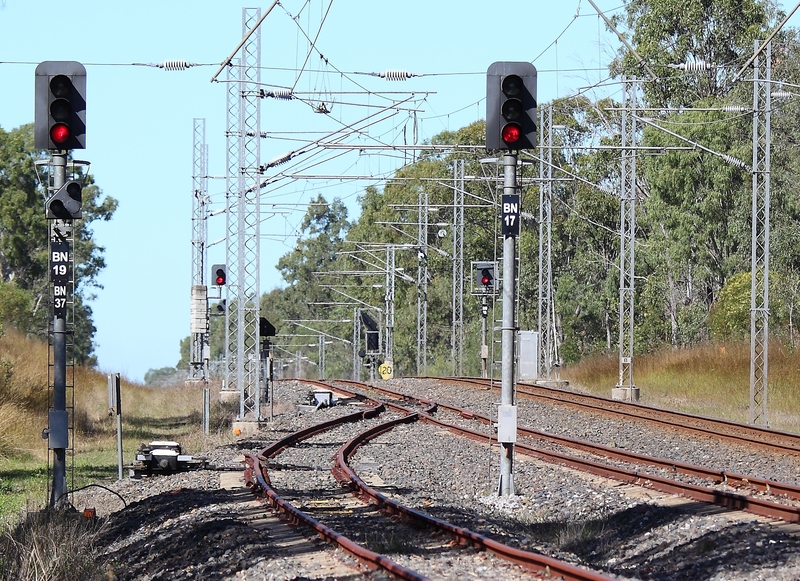 When used as a 3 Aspect Start Signal, they are usually fitted with a Shunt Signal..
Start Signals are generally positioned at the end of a yard or passing loop, and used to permit the entry into the next block section of track. 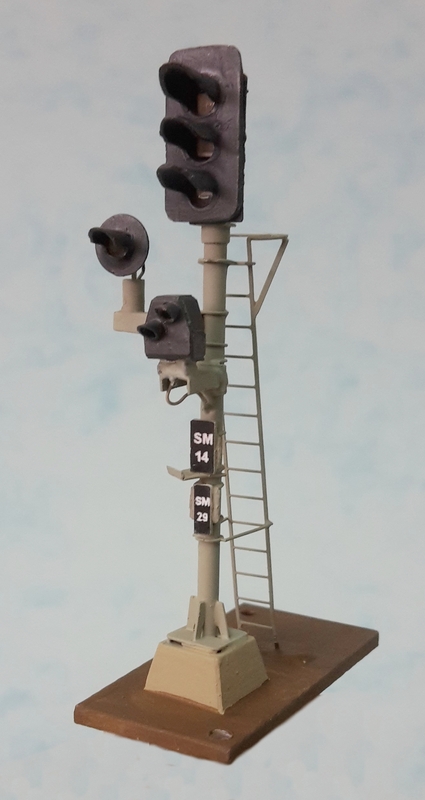 The 2 Aspect Green/Red can also be used as an Advanced Starter beyond the end of the yard when a 3 Aspect Start Signal has been positioned prior to the end of a yard. 2 Aspect Start Signals can be found with, or without a Shunt Signal. 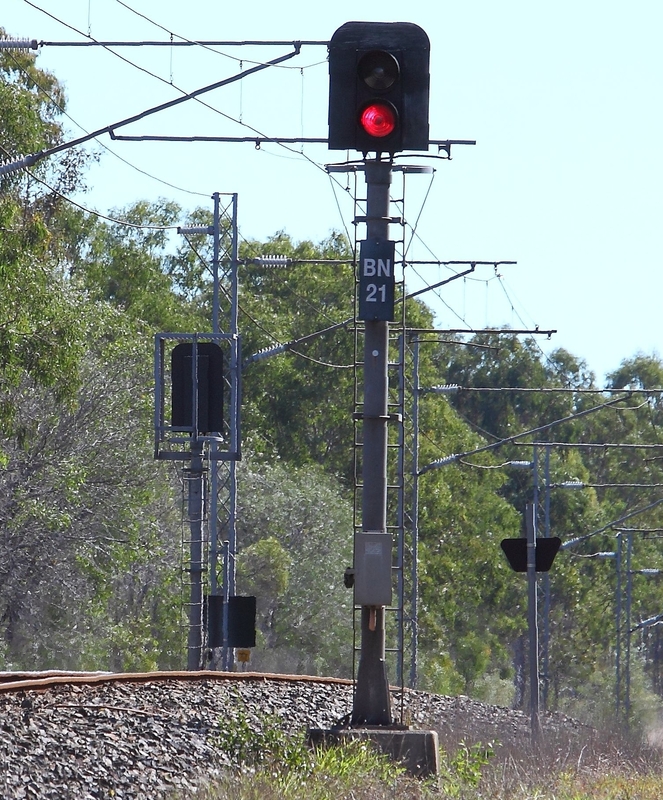 Repeat Signals are placed prior to any stop signal that has reduced sighting distance due to track curvature, cutting, structures, etc.. Other locations for their use include; where there are stop signal/s fitted to adjacent lines and no stop signal is present on another adjacent line. For continuity of signals, a repeat signal is installed. 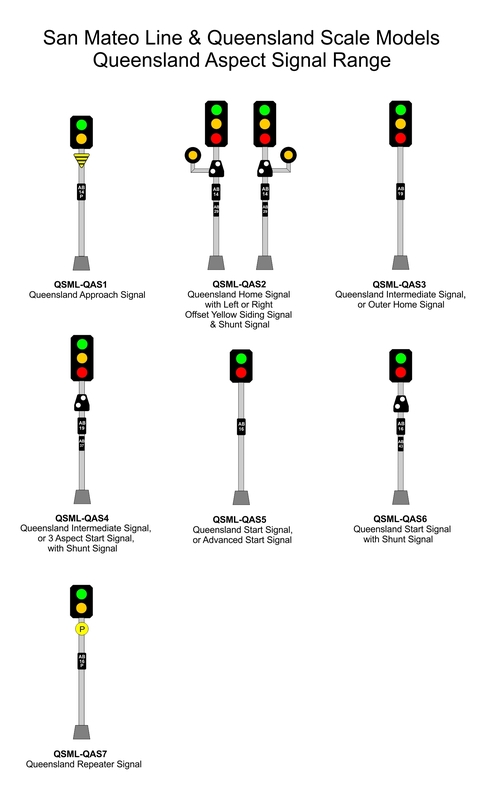 Repeat Signals are not located at braking distance from the signal they are repeating. 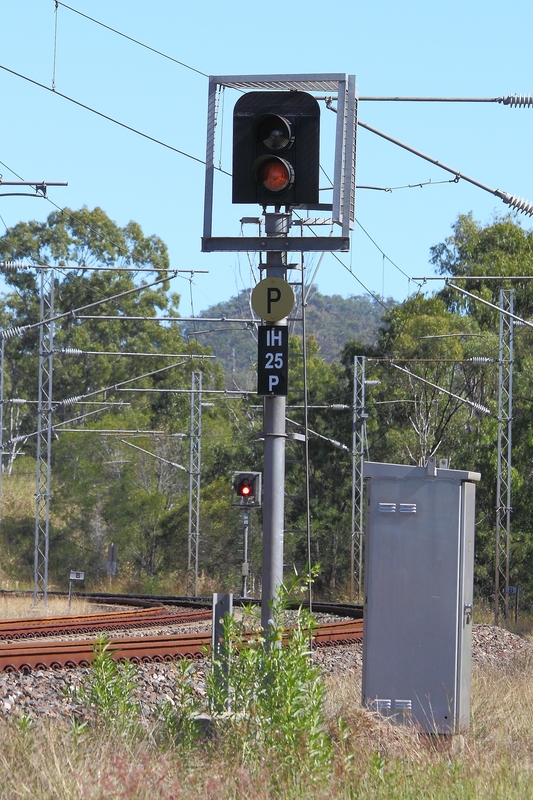 They are easily identified by the small yellow disc with a black letter "P" attached to the signal post.